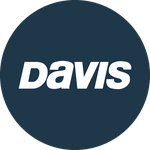 Davis Instruments Support, FAQs and Troubleshooting - Where is the best position to install the Doel-Fin? All Categories ​>​ FAQ ​>​ Marine ​>​ Where is the best position to install the Doel-Fin? As a rule of thumb centered over the propeller is best. On some motors this is not possible. You want both fin halves equally spaced fore and aft on the cavitation plate, SO THAT they are not pitched differently and the trailing edges are parallel with each other.